Since the development of smartphones and the many apps and games on them, one of the most popular and favorite games users to choose to play are certainly the tap games. Because of their popularity and demand, finding the most addictive and fun tap game to test your skills is not easy. Luckily for all tap lovers, we did our research and we found one entertaining and challenging tapper game that will test your fast reactions and get you addicted fast. Let’s discuss about it. What makes Hero Breakout so special? Developed for android users, this tapper game is quite simple for playing but in the same time will you’re your tap skills, pushing you to react fast in order to help the hero escape from the ball chasing him. The endless tap gameplay with the incredible design, the cool hero and the fun sounds will keep your interest each time you play. Keep the hero alive as long as you can to win your high scores and try to get through the challenging obstacles on your way in this tap game. 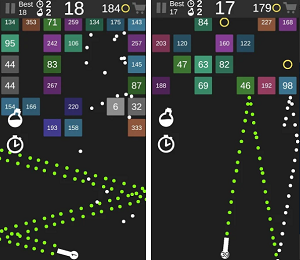 The Hero Breakout for all lovers of tap games is offering a simple and yet addictive endless tap gameplay as well for fun features to get them hooked to playing. As the player tries to avoid the ball chasing him and escape with the hero, his tap skills are being tested and pushed to its limits. All players need to do is to tap once to jump and to double to tap for a double jump. Many challenging obstacles are put on the way of the player so he is slowed down and he needs to avoid them all so the game does not end for him. By getting through the obstacles, keeping the hero alive and escaping the giant ball, players get the chance to win high scores and win many of the game’s rewards offered. Coins are put on the way through the game and the players can collect them to unlock new hero characters. To become the ultimate tapper of the game, the player needs to tap and jump fast to escape the ball and keep the hero alive as long as possible. Download the game for free on Google Play now to help the hero escape by tapping as fast as you can!